Malaysia and the United Arab Emirates are home to wealthy minority groups with little or no access to public higher education. These countries share parallel trajectories of economic and educational growth, yet they have starkly different citizenship and educational policies that govern the diverse populations within their borders. The result in higher education has been differentiated systems whose contours are largely shaped by these ethnic divisions. Institutional prestige, student enrolment, and long-term sector stability are the areas most strongly influenced, although outcomes differ between Malaysia and the United Arab Emirates due to differing national policies on citizenship. 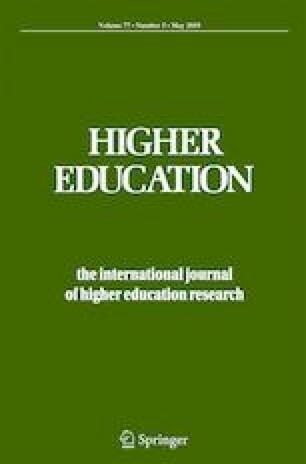 A comparative, vertical analysis of student interviews, institutional curriculum, and government policies indicates that institutions and governments can mitigate the deleterious divisions in higher education related to ethnicity and citizenship. Government policies which withhold citizenship or higher education from a particular ethnic or class group, will, in the long run, decrease the stability of the education sector and reinforce the ethnic divisions within a country. Conversely, inter-ethnic collaboration within university programs has the potential to improve ethnic relations between groups, while inclusive notions of citizenship solidify the higher education sector. Al Qassimi, S. (2013). Give expats an opportunity to earn UAE citizenship. Gulf News Thinkers. Retrieved from http://gulfnews.com/opinions/columnists/give-expats-an-opportunity-to-earn-uaecitizenship-1.1234167. Accessed 15 June 2014. Department of Statistics Malaysia (2016). Current population estimates, Malaysia, 2014–2016. Retrieved from https://www.dosm.gov.my/v1/index.php?r=column/ctheme&menu_id=L0pheU43NWJwRWVSZklWdzQ4TlhUUT09&bul_id=OWlxdEVoYlJCS0hUZzJyRUcvZEYxZz09. GMI (2018). UAE population infographics. GMI blogger. Retrieved from https://www.globalmediainsight.com/blog/uae-population-statistics/#expat_population. Hobler, L. A. (2016). Constitutional contradictions: religious pluralism and the legalization of identity in Malaysia. Retrieved from https://static1.squarespace.com/static/55537ac7e4b03a5e3e21f5e9/t/5742036740261db902b70e3b/1463944039665/Constitutional+Contradictions-+Religion+Pluralism+and+the+Legalization+of+Identity+in+Malaysia+LALH.pdf. KHDA (2014). Private higher education landscape. Government of Dubai. Retrieved from https://khda.gov.ae/CMS/WebParts/TextEditor/Documents/LandscapePEEnglish.pdf. Knowledge & Human Development Authority (2014). Private higher education landscape. Government of Dubai. Retrieved from https://khda.gov.ae/CMS/WebParts/TextEditor/Documents/LandscapePEEnglish.pdf. Malit Jr, F. T., & Al Youha, A. (2013). Labor migration in the United Arab Emirates: challenges and responses. The Online Journal of the Migration Policy Institute. Retrieved from http://www.migrationpolicy.org/article/labormigration-united-arab-emirates-challenges-andresponses. Pak, J. (2013). Is Malaysia university entry a level playing field? BBC News. Retrieved from http://www.bbc.com/news/world-asia-23841888. Pant, M. D. (2012). Asians paid 33% less than Westerners. Gulf business salary surveyr retrieved from - http://gulfbusiness.com/2012/12/asians-paid-33-less-than-westerners/#.VN-8QfneWT9. The Economist (2013). A never ending policy: elections in May could mark a turning point. The Economist. Retrieved from http://www.economist.com/news/briefing/21576654-elections-may-could-mark-turning-point-never-ending-policy. UAE Interact (2013). United Arab Emirates statistics. Retrieved March 2015 from http://www.uaeinteract.com/. Wigglesworth, R. (2009). UAE may rue its exodus of expatriates. New York Times. Retrieved from https: //www.ft.com/content/238b3d84-17ca-11de-8c9d-0000779fd2ac.